After months of complaints on Facebook’s gung-ho attitude to its user’s private data, Mark Zuckerberg has relented. 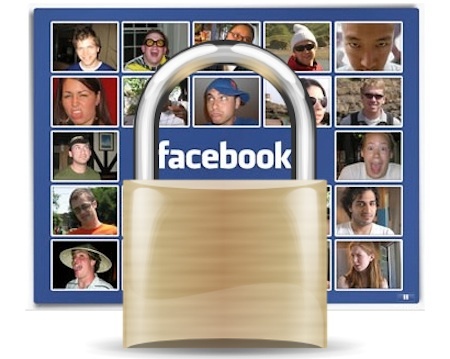 Facebook will streamline its privacy settings. But did Zuckerberg really do an about-face on privacy or not? Mark Zuckerberg’s confessional letter appeared today on the Washington Post‘s Web site, and its headline suggests a no-nonsense piece of writing: “From Facebook, answering privacy concerns with new settings.” Straight away this sounds promising–Facebook is aware that people are concerned about how Facebook is exposing their information, and is acting on it. Strangely the content of the letter itself isn’t as promising. Zuckerberg starts setting out the site’s history and how it’s designed to let people share information: “People want to share and stay connected with their friends and the people around them.” This is true, and the Net gives them a tool to do this like it’s never been done before. But then the usual Zuckerberg rot sets in: “If we give people control over what they share, they will want to share more” is the important line, indicating that Facebook’s goal is still to get its users to share lots more content with each other, and the Web in general–this is Zuckerberg’s old mantra that privacy doesn’t exist or is irrelevant. Yes, having an easier way to turn off Facebook’s transmission of your private data would be nice. But is Facebook going to re-address what it considers as private data? Probably not, given Zuckerberg’s notion that sharing on Facebook heals the world. And will Facebook fix the data leaks like the oversharing of personal phone numbers through “Help! I’ve lost my phone and need all my pal’s numbers” groups? (This is wonderfully exposed by the Evil Web app by coder Tom Scott, which reveals how easily millions of folk have had their private number transmitted to the World.) Nope, almost certainly not. Instead, will Facebook continue to erode the boundaries between your personal info on the site and the public data it shares with the Web and its advertising partners? Almost certainly. Will there continue to be embarrassing leaks and security loopholes? Yes, of course. Zuckerberg’s letter addresses none of this–merely closing by promising Facebook is concerned about your privacy, won’t share your data with anyone, and will “keep listening” to its users. So why did he write this? Because Facebook’s public image has taken a serious bashing recently, particularly with revelations about Mark’s own contrarian (and slightly seedy, if you look at his college-era IMs) view on data privacy, and this isn’t good for the company. Its investors, including a group of Russian businessmen who pumped some $200 million into Facebook last year, are probably getting antsy, and forced Zuckerberg’s hand. Amusingly, Zuckerberg’s true motives still shine through the thinly-written letter, and they deliver the most potent message of all: If you want to keep stuff private in the future, don’t put it on Facebook. Update: AllFacebook.com was intrigued by Zuckerberg’s mention of the kill-switch for third party services, and emailed their contact inside the company. Andrew Noyes replied with some words that basically underline Zuckerberg’s statement, but adding that while users like “the new programs we have rolled out” it’s clear they “want simple and easy ways to opt out of sharing personal information with applications and websites through Facebook Platform.” That’s actually opened up a whole bunch of questions: Will Facebook let you block all your data from going to third party apps? Does the mention of “websites” include Google? And does “personal information” mean truly personal stuff, or the new kind of “publicly personal” data that Facebook’s decided you have?